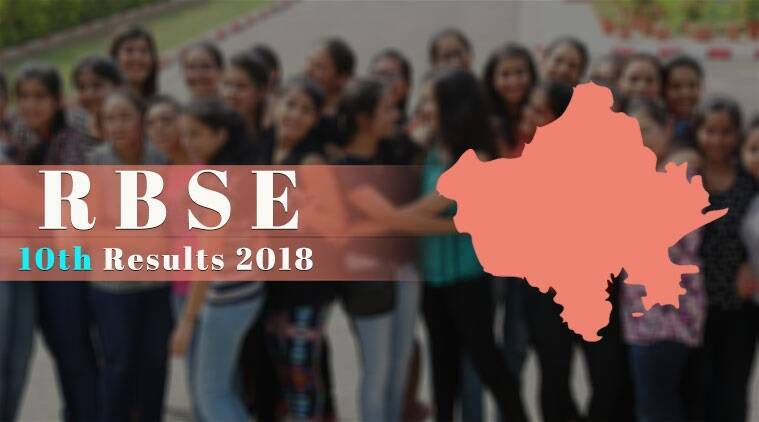 RBSE BSER 10th Result 2018, Raj Board 10th Result 2018: The Rajasthan Board of Secondary Education (RBSE), Ajmer has declared the results of Class 10 examination on Monday, June 10. In the regular student category, 80.13 per cent passed while in the private category, the pass percentage is 14.55 per cent. The boys have scored 80.06 per cent in the regular category and 14.70 per cent in the private category. Among girls, regular category registers 79.95 per cent. In the Rajasthan Praveshika Pariksha, 62.51 per cent have passed. 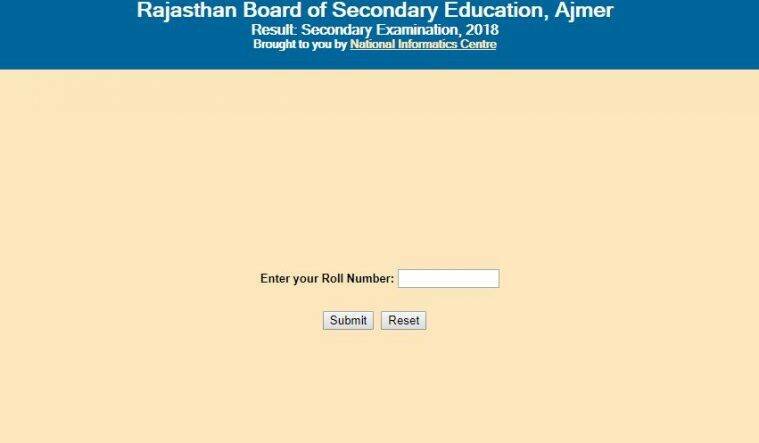 “The result of Rajasthan Board of Secondary Education (RBSE) Class 10 examination will be declared tomorrow at 3.15 pm,” said an official. The results will be available at rajeduboard.rajasthan.gov.in, rajresults.nic.in. An estimate of 10,82,972 students who have appeared for the examination can check the results through the official websites. The candidates can also check their marks through the official websites by entering their roll number. Due to heavy traffic, if the websites go slow, the results can be accessed through the private website, indiaresults.com. The result of RBSE Class 10 examination will be declared on Monday at 3.15 pm. 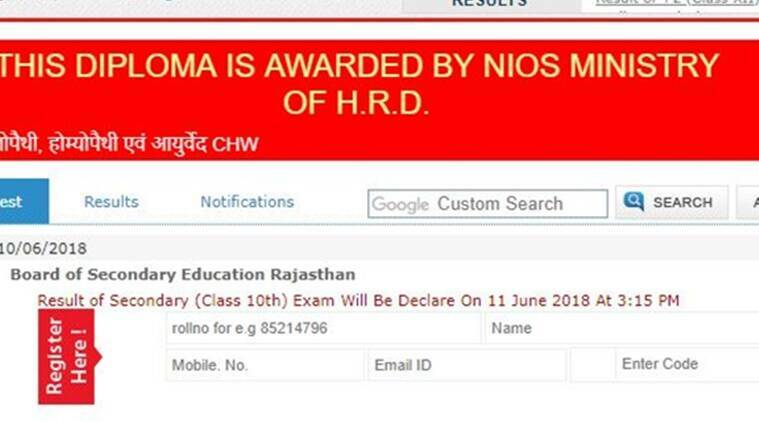 An estimate of 10,82,972 students who have appeared for the examination can check the results through the official websites, rajeduboard.rajasthan.gov.in, rajresults.nic.in. From last year, the Rajasthan Board of Secondary Education (RBSE) has decided not to declare the merit list of board examinations. As per reports, the decision was taken as the RBSE was facing problems with the system and declaring merit list was creating pressure among students. RBSE will felicitate meritorious students in the yearly convocation and first, second and third positions will be awarded. The Rajasthan board, Ajmer provides list of marks to the government so that they can distribute scholarships, laptops and Gargi awards to top scorers. Recently, for its performance in the 2017 exams, the Government Secondary School, Jadan in Pali district, was adjudged the best school at the state level while the Government Secondary School of Dabi village in Bundi was declared as the best school for 2016 session. The best school award carried a cash prize of Rs 50,000 and a citation.